Posted October 31, 2010 in Uncategorized. 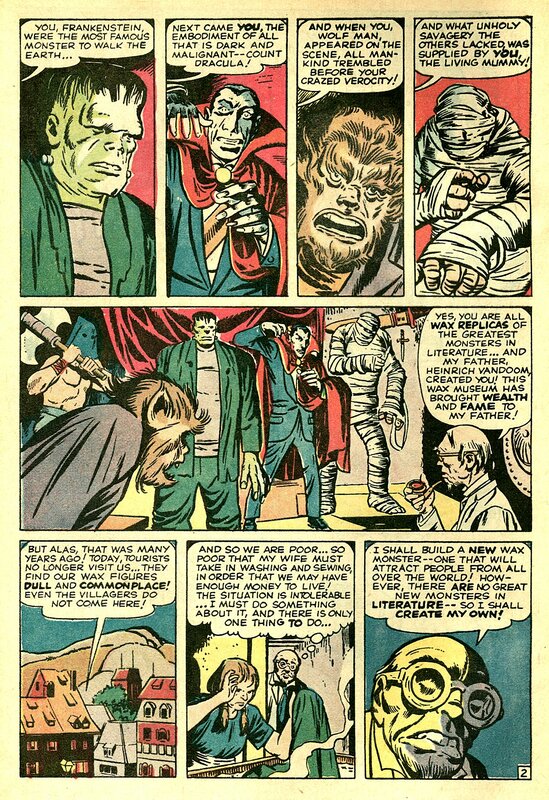 Here’s a few pages from Where Creatures Roam # 4 (Jan 1971), featuring Kirby’s take on some classic movie monsters on page 2, as well as some typical bizarre Kirby monster work in the pages that follow (pages 4 and 6). The story was originally published in Tales to Astonish # 17 (Mar 1961), titled “Vandoom, The Man Who Made a Creature.” Vandoom certainly could be a precursor to Victor VonDoom the alter-ego of the Kirby-Lee Dr. Doom character who was also a mad scientist and inventor. 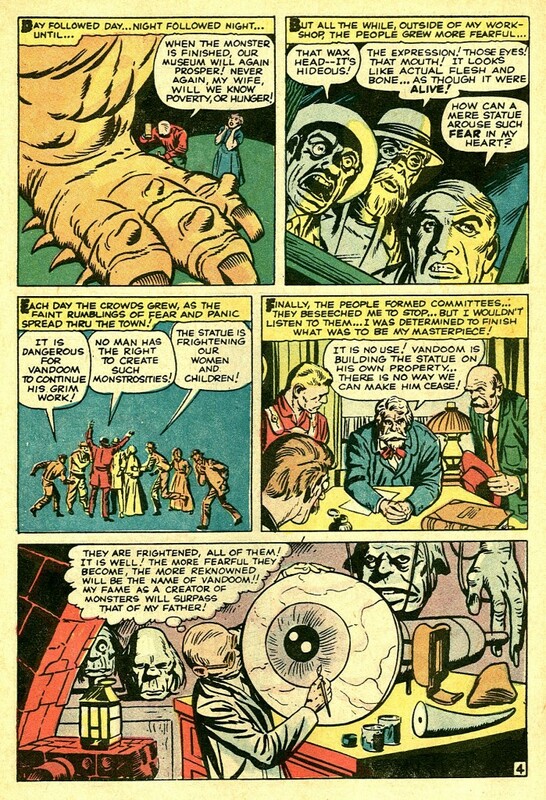 I love the scientist with the gigantic eye in the panel at the bottom of page 4. What the hell is “verocity?” Never heard of that word before. 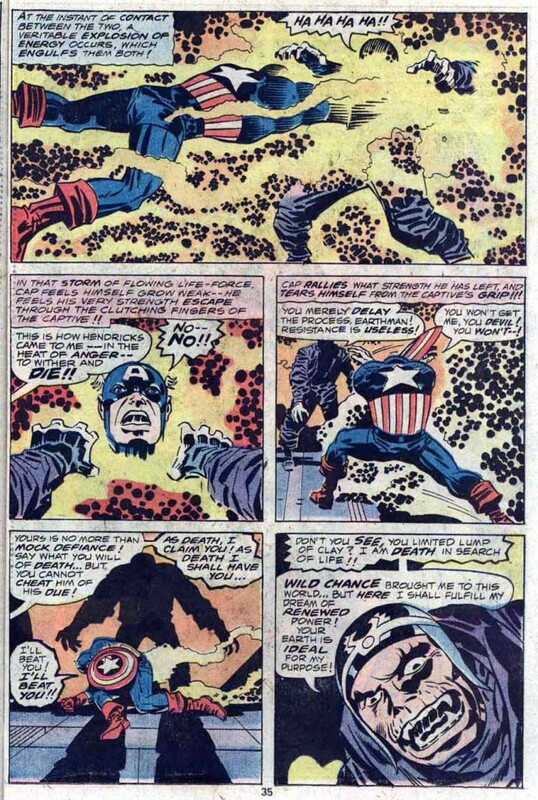 Maybe Stan meant ferocity? 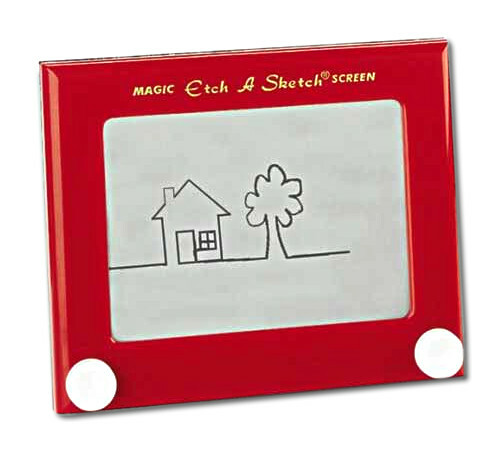 Posted October 30, 2010 in Uncategorized. 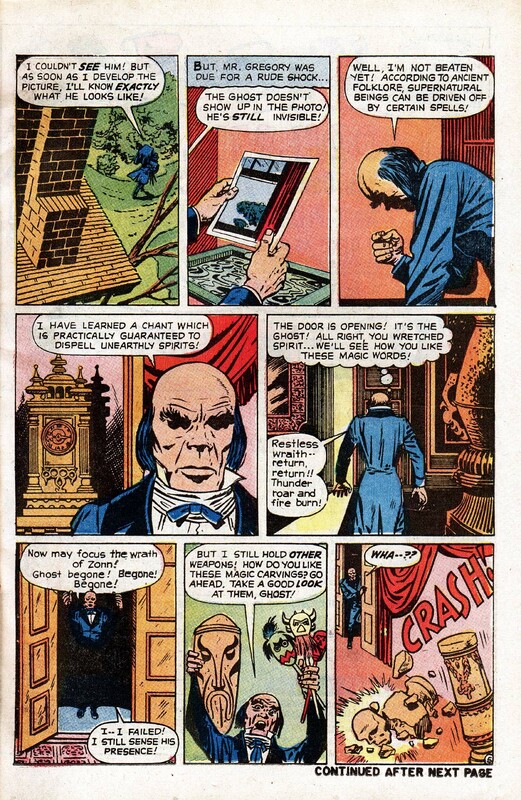 Classic Haunted House genre story by Kirby from Fear # 4 (Jul 1971), pages 4 – 6. 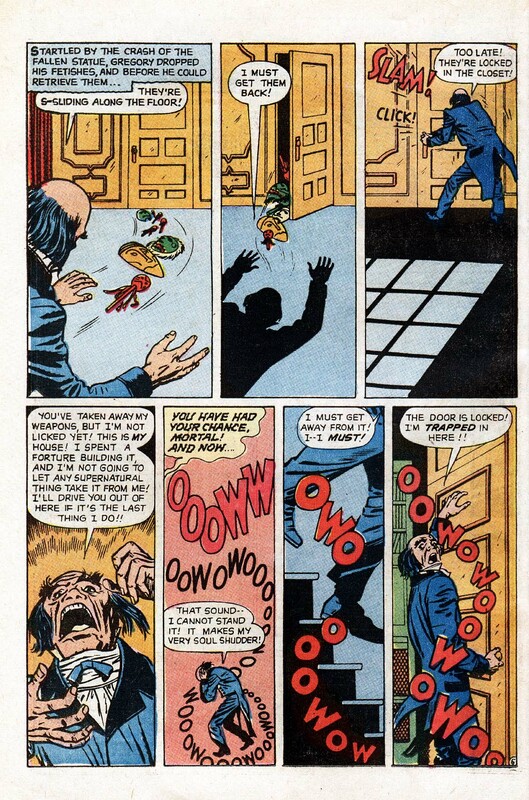 The story originally appeared in Journey Into Mystery # 75 (Dec 1961) “Mr. 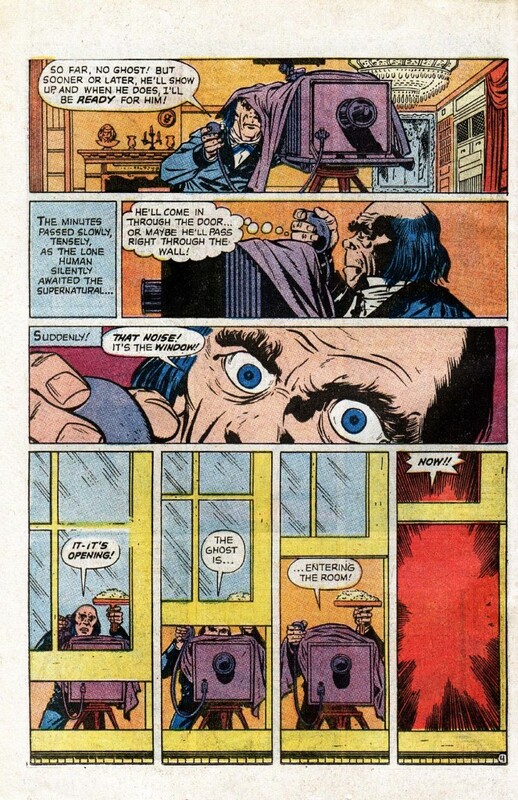 Gregory and the Ghost.” Very creative page design, and clever use of sound effects especially in page 6. Posted October 29, 2010 in Uncategorized. 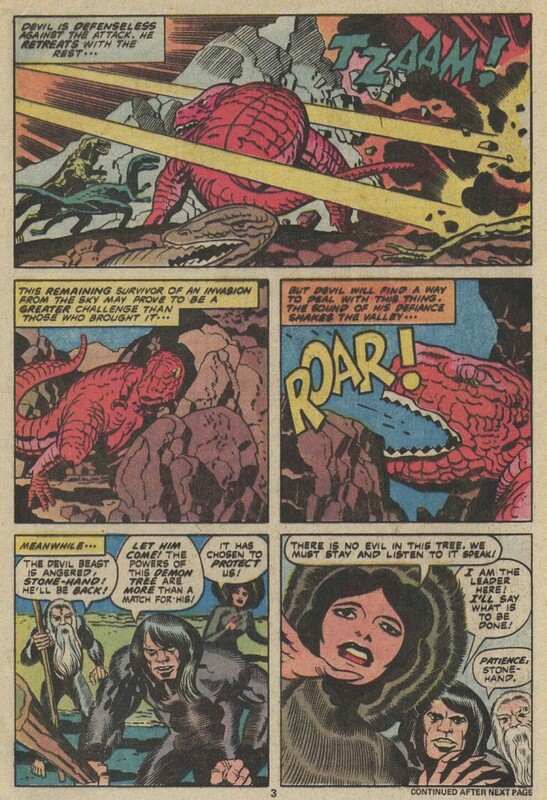 Pages 3, 5, and 7 from Devil Dinosaur # 7 (Oct 1978). 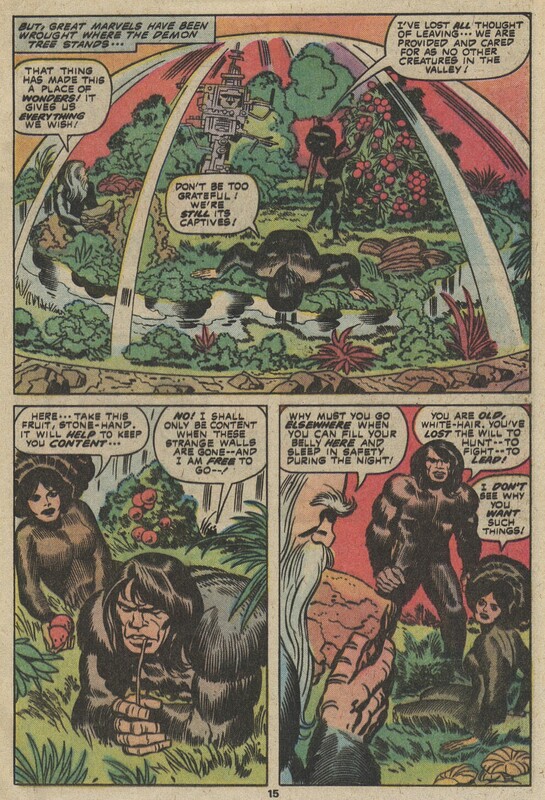 Our ancestors encounter alien intelligence and find themselves trapped in a cage resembling the garden of Eden. 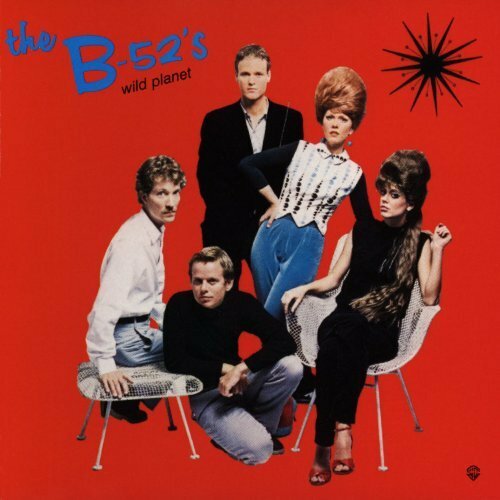 Not sure what Jack was thinking with the cavewoman’s gigantic beehive. 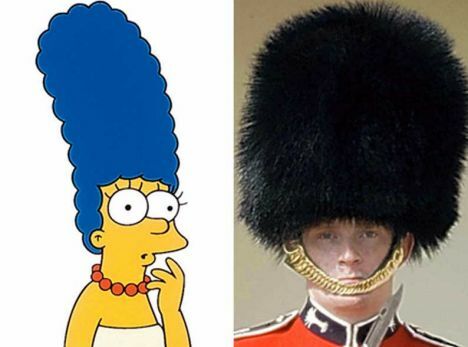 Some more examples of similar big hair. Posted October 28, 2010 in Uncategorized. 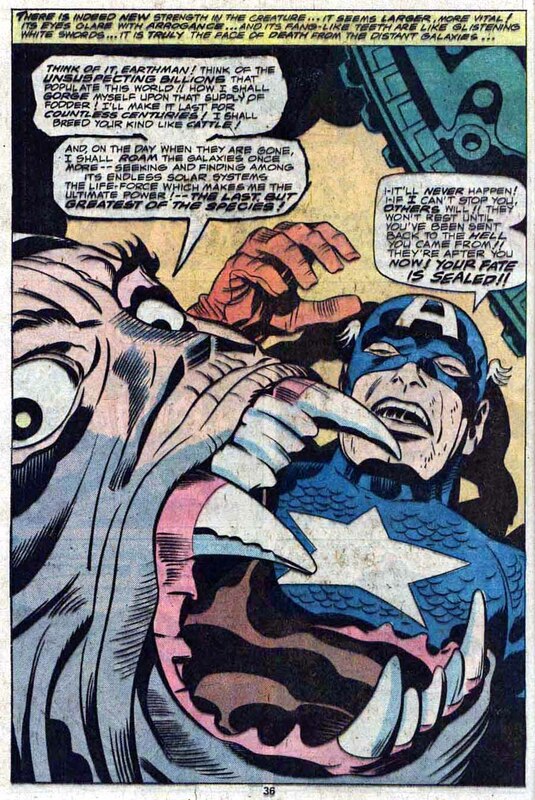 Three page sequence from Captain America Annual # 3 (1976) featuring a tremendous amount of Kirby’s famous “crackle,” then a truly bizarre splash page featuring a giant mouth in the foreground, visually about to devour Captain America. Inks on this book look to be a mish-mash of Giacoia and Verpoorten. 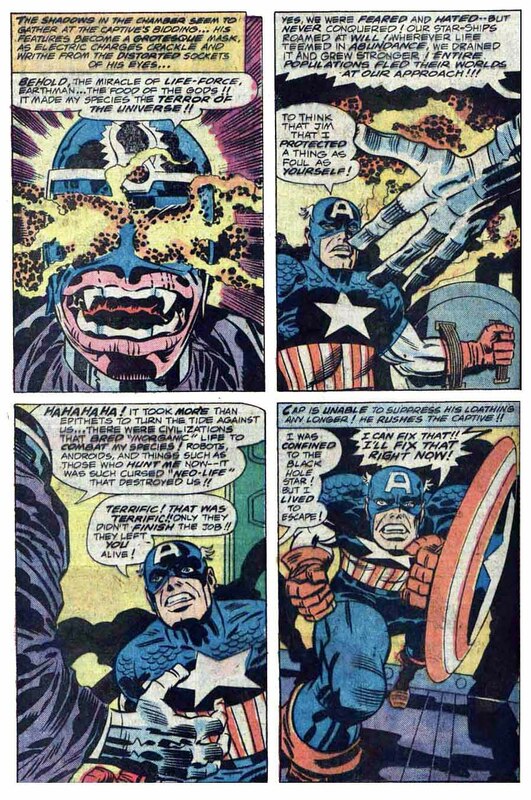 Jack must have been really cranking out artwork in the 1970s with regular books, annuals, covers, and the Treasury Editions — Marvel editors and inkers must have been scrambling to try and keep up with Jack’s prodigious output while still maintaining a high quality level. Posted October 27, 2010 in Uncategorized. 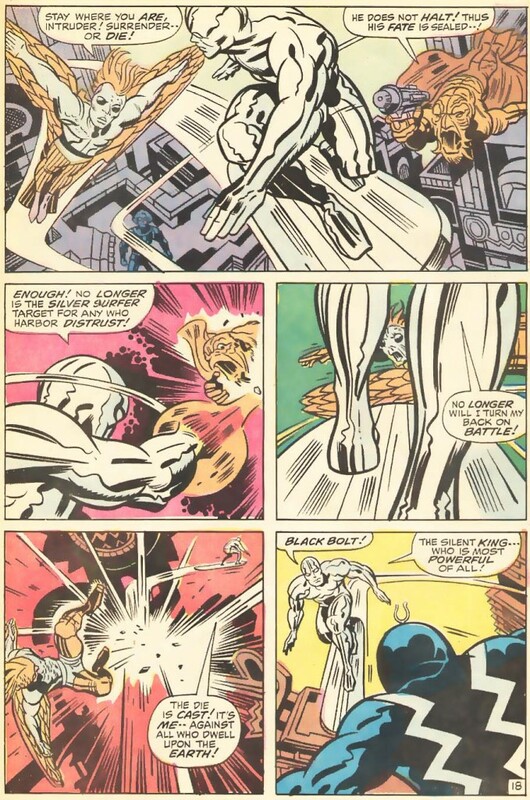 Yesterday I showed you what Jack must have assumed was the end of his Silver Surfer saga (although he would revisit the character in The Silver Surfer Graphic Novel in 1978), but Jack never seemed to be one to waste too much time looking back. 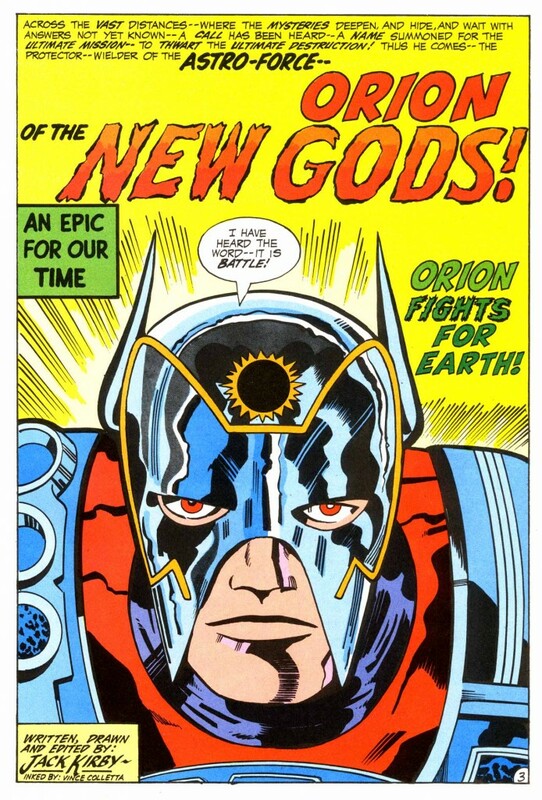 Here he is producing some of the best stories and art in his career, getting the ball rolling on his famous Fourth World epic — the first pages of New Gods # 1 (Feb 1971). 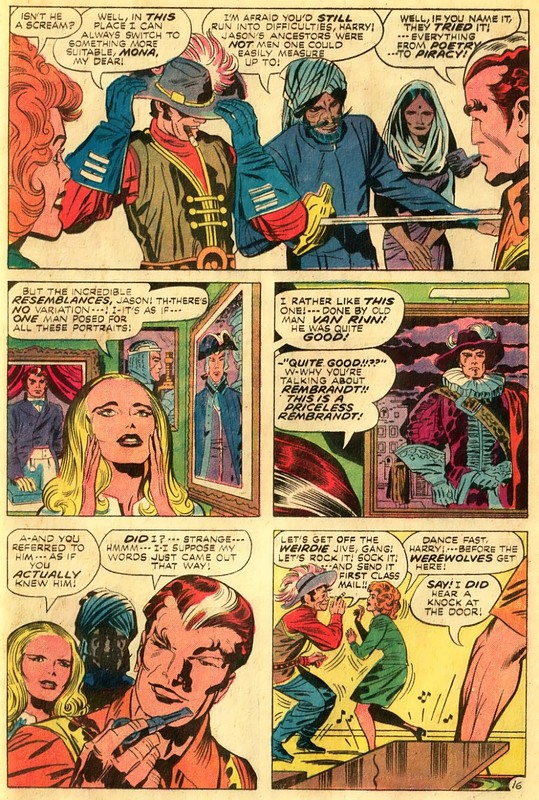 Inks by Vince Colletta. 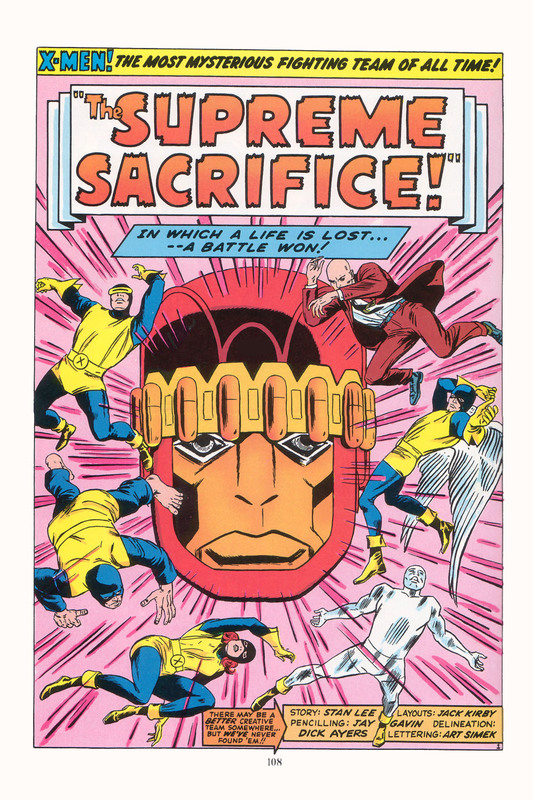 If you want to learn more about Jack’s 4W check out Jon C. Cooke’s excellent weblog 365 Days of Jack Kirby’s Fourth World on the Jack Kirby Museum website. Posted October 26, 2010 in Uncategorized. 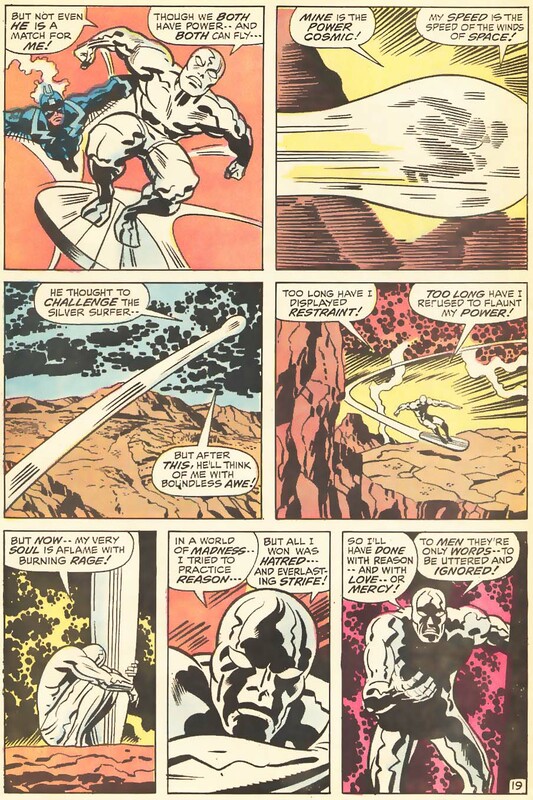 The last three pages of Silver Surfer # 18 (Sep 1970). 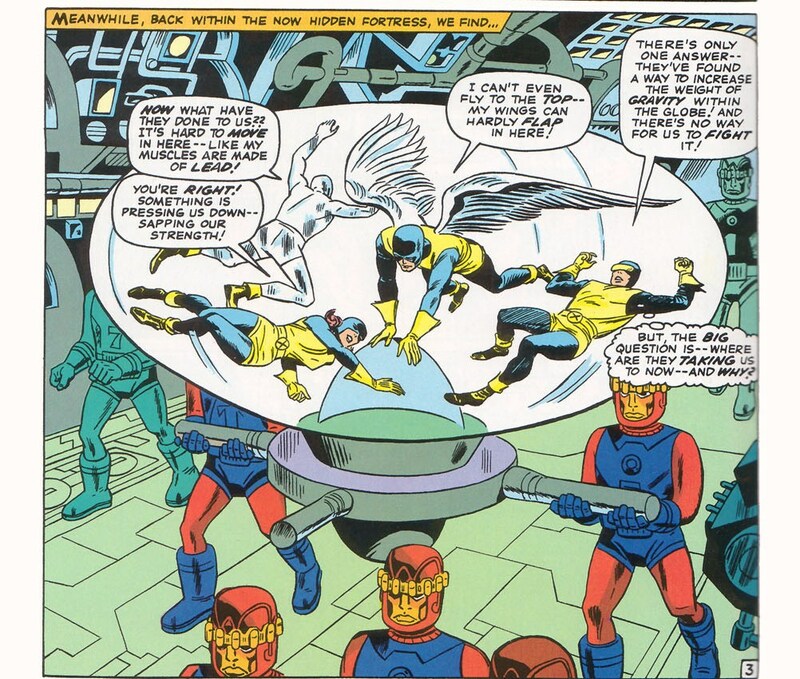 It’s a shame Herb Trimpe didn’t do more inking jobs on Kirby’s work, I thought Herb did a really great job on this book. 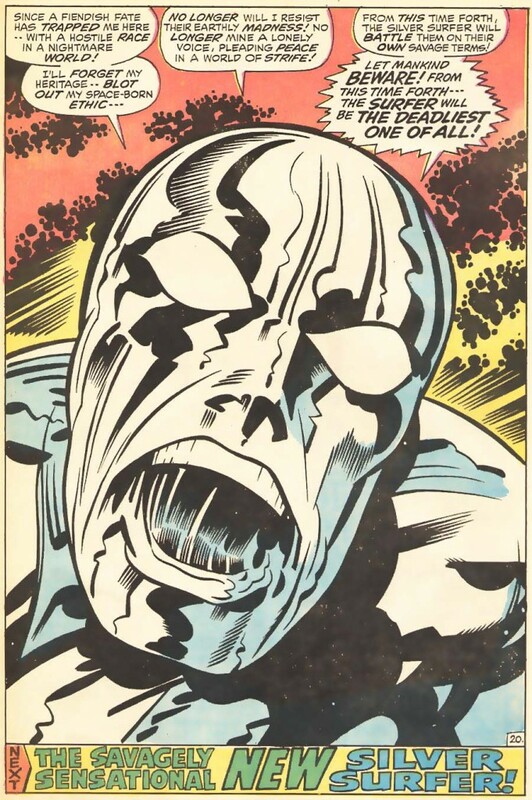 It’s been suggested by some comics experts that the screaming face of the Surfer in the final page may have been a reflection of Jack’s own rage at the fact that Martin Goodman and Stan Lee would not make an effort to give him a fair share of the royalties and credit for his 1960s Marvel creations. 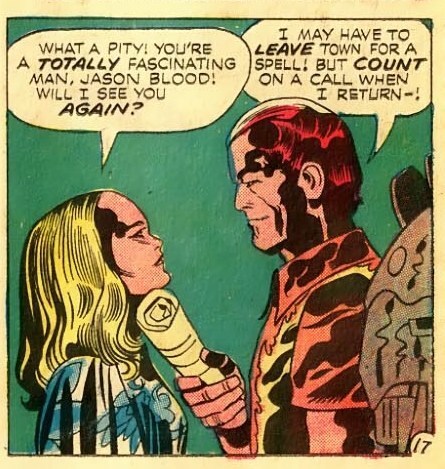 Soon after this story, Jack would move onto DC and create the Fourth World series. Posted October 25, 2010 in Uncategorized. 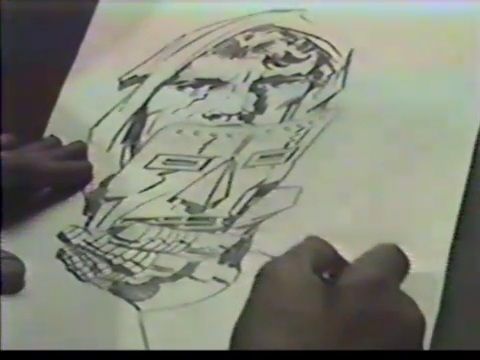 Thanks to Greg Theakston and Rand Hoppe for posting the footage of Jack drawing Dr. Doom on YouTube. 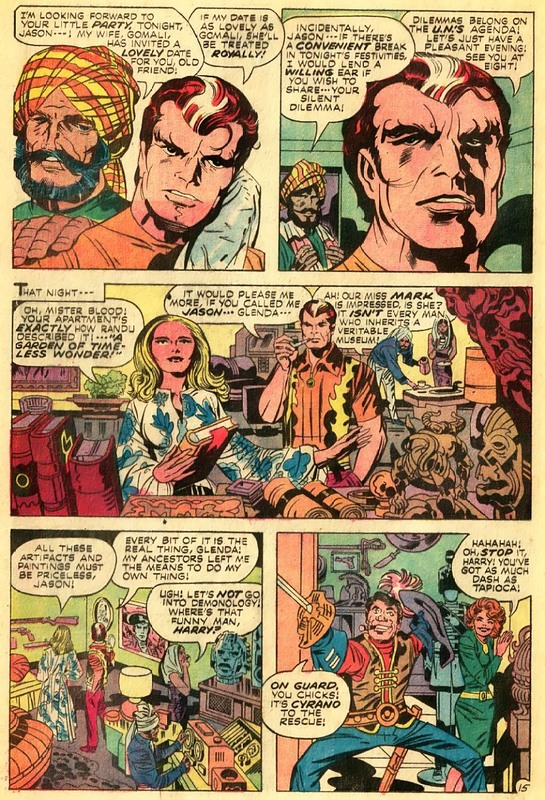 I hope this finally debunks the myth that Jack always started at the top of the page in the top-left hand corner and illustrated the image almost like a computer printer or an etch-a-sketch going mechanically from left-to-right ending the illustration in the bottom right-hand corner. 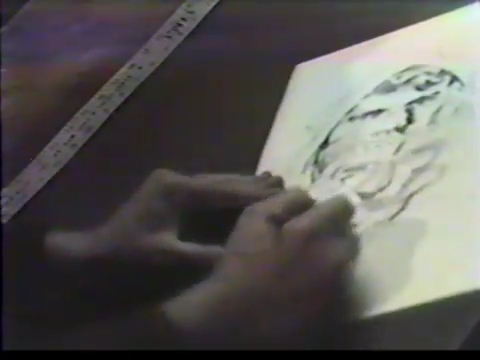 Of course, it wouldn’t surprise me if later in life Jack did use the mechanical left-to-right method to save time or because of potential health issues that changed the way he composed images — and he was right-handed so naturally he probably worked left-to-right — but based on all the scraped-on graphite you see on the backs of virtually every Kirby original I’ve examined, I’ve speculated for several years now that Kirby actually moved the page around on the drawing board quite a bit, and that is why you see so much graphite residue scraped on the back of his original artwork. 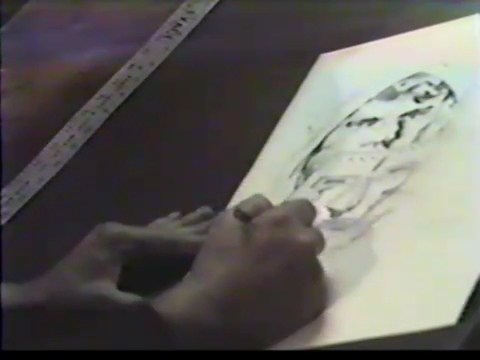 As you can see in the video, that’s what he’s doing. 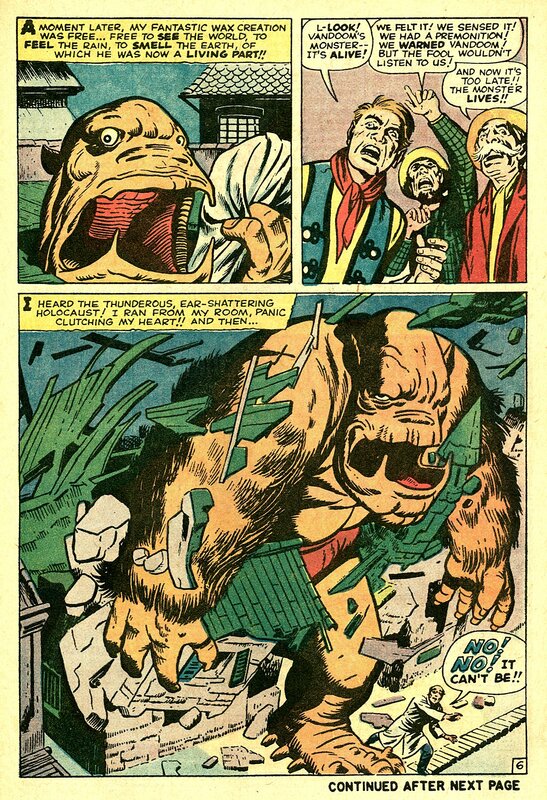 For example, just choosing a random page from Tom Kraft’s whatifkirby.com website, here is the back of Devil Dinosaur # 4, page 1. 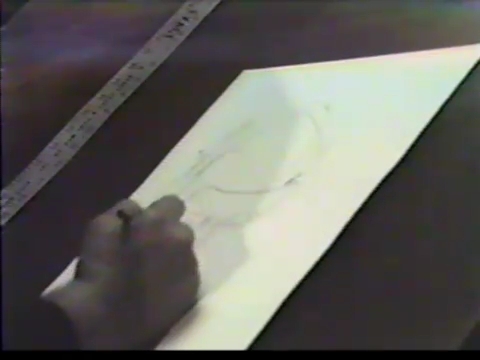 You can see a lot of pencil graphite on the back of the art which suggests to me the artboard wasn’t taped to the drawing table, but was loose so Jack could move it around to fill in the details as he does in the video, resulting in all the scraped-on graphite rsidue you can see below. 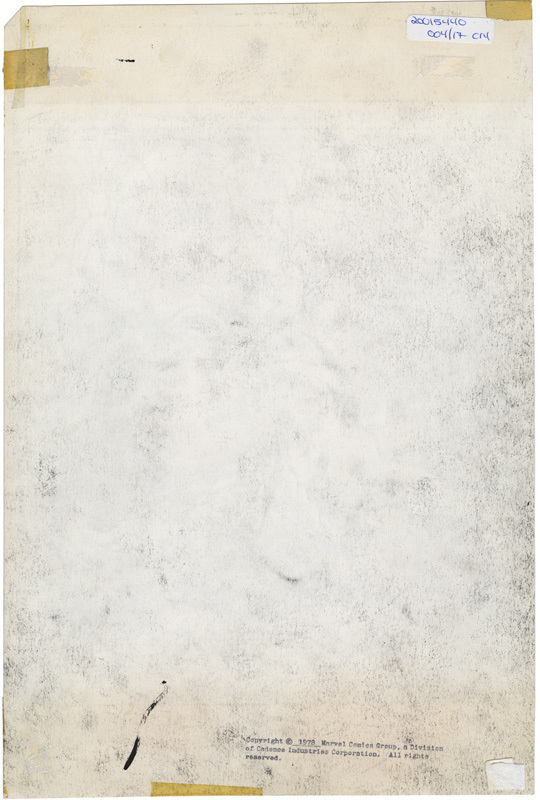 Also, the front of this page is a splash (a single image with a title), I’ve seen much more graphite on interior pages with several panels. 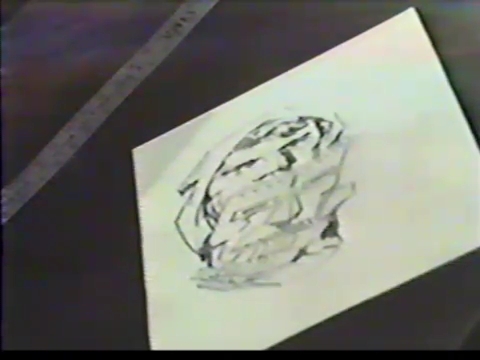 The video is low-quality but here are a few screen-caps. 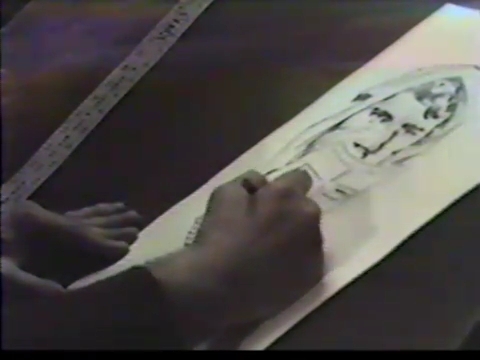 I hope this video also shatters the myth that Jack was cranking this stuff out in no-time. 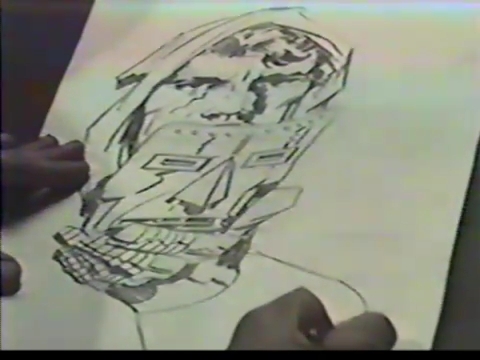 It took Jack almost 20 + minutes just to do a face and a mask with no background detail. 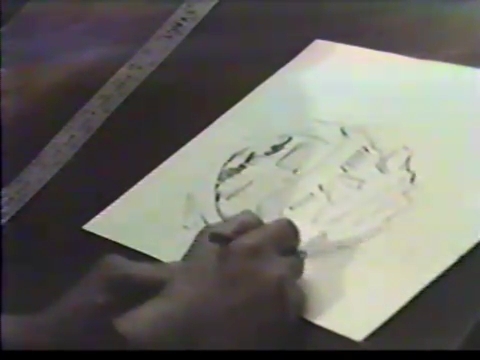 Jack was fast, but it still took him a solid 8 – 10 hours to draw 3 pages, and although prolific compared to many modern artists who only do a page a day, you can still see Jack had to invest substantial time at the drawing board creating an image that he was satisfied with. 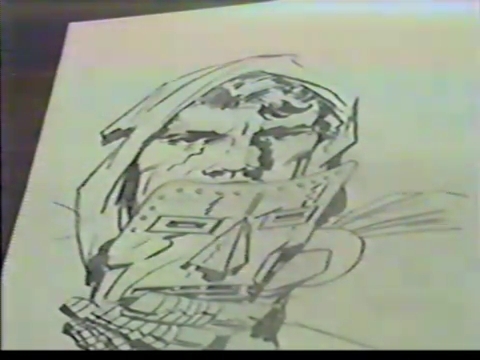 I think I’ve seen the uninked-pencils for this image before, but I’m not certain. 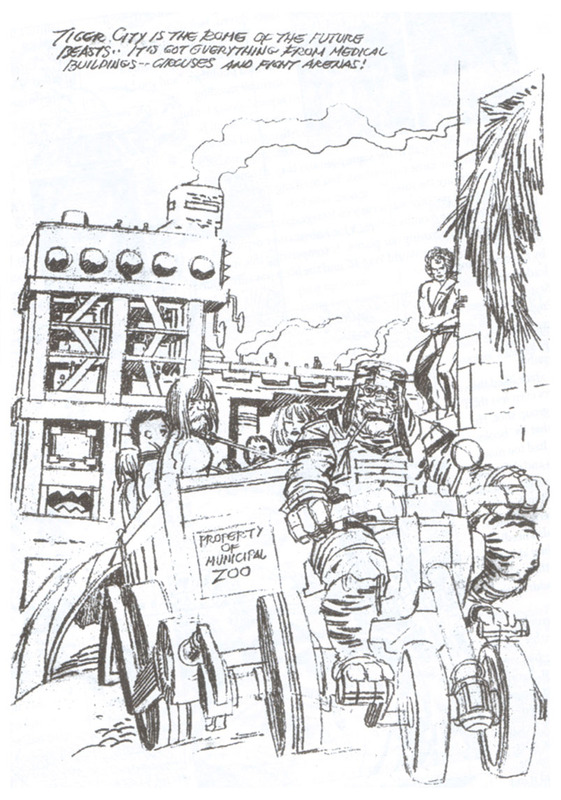 I couldn’t find a high quality scan of the version inked by Greg Theakston, but here is a pretty good scan of a commission piece by Mike Royer. 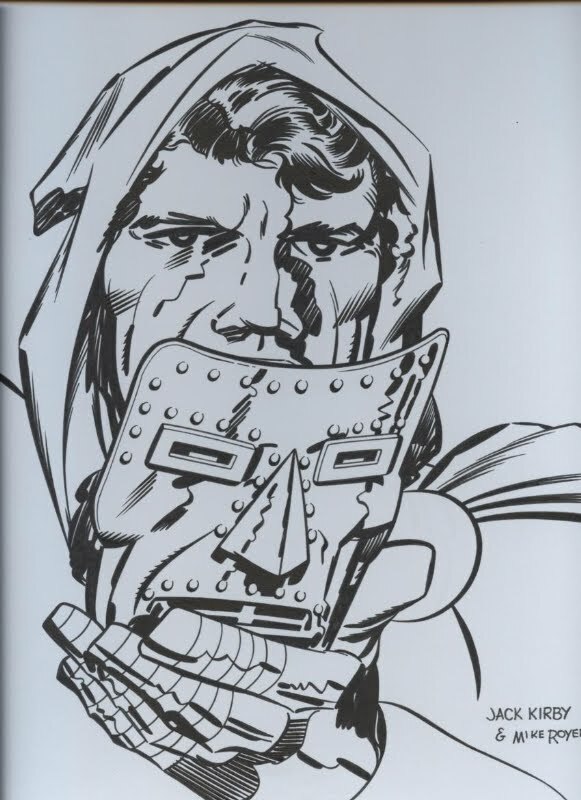 Funny, I did a Google search for “Kirby Dr. Doom scar” and came up with this image. 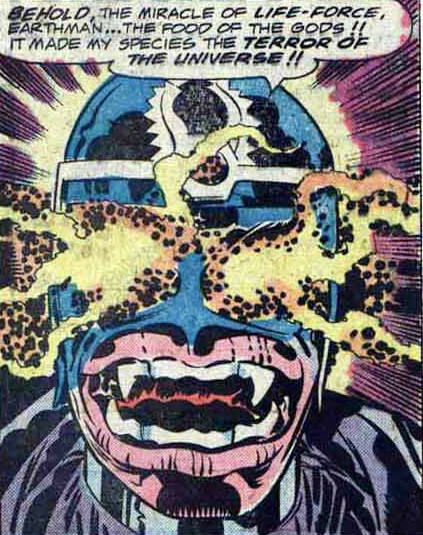 The source? 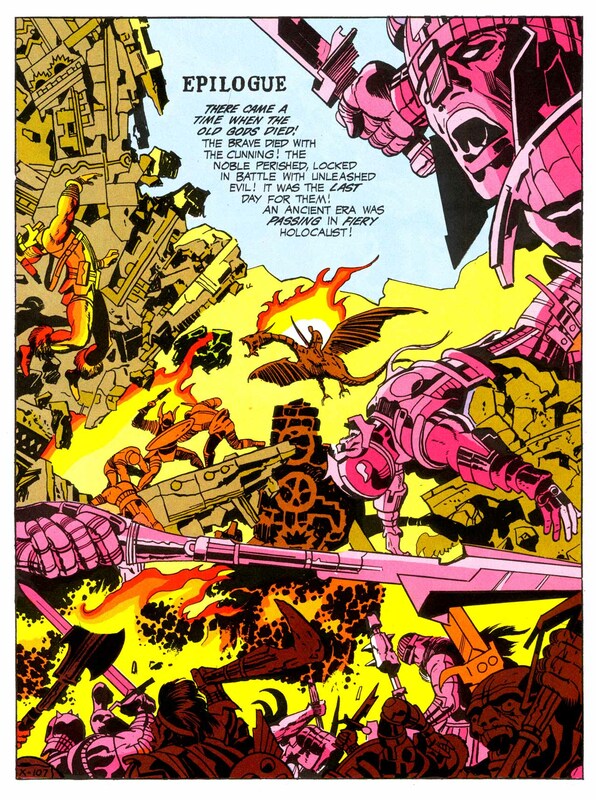 My old Kirby Dynamics blogspot site. 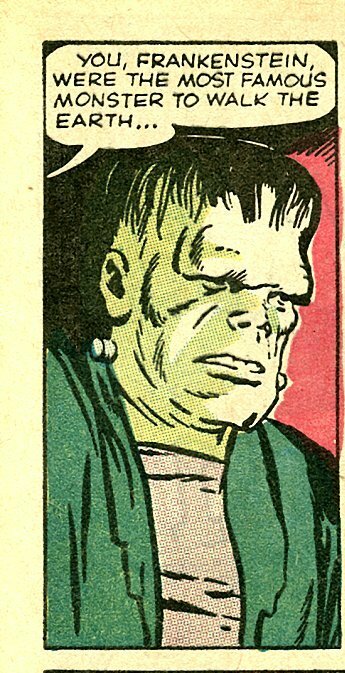 Posted October 24, 2010 in Uncategorized. Jack was understandably famous for his creations and his explosive action sequences, but he also was a master at taking a scene where you mainly have a bunch of talking heads and making it visually interesting. 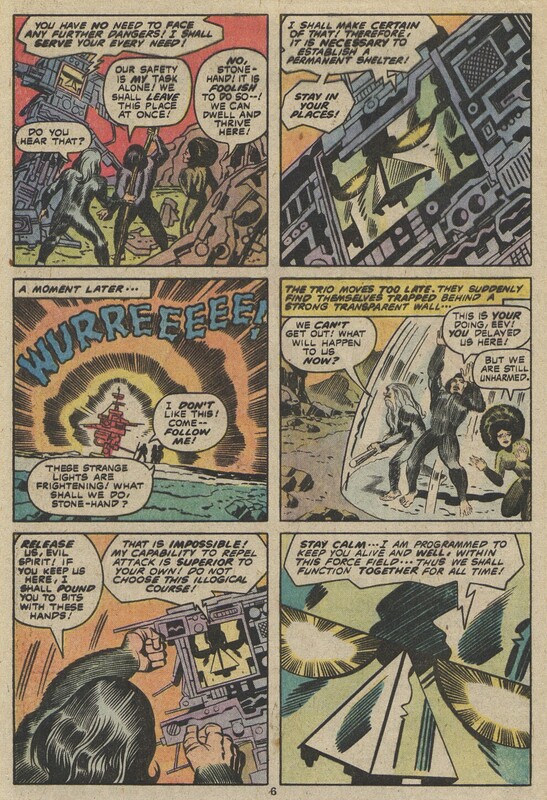 Just randomly going through my K-files, I pulled this sequence out of The Demon# 1 (Aug 1972). 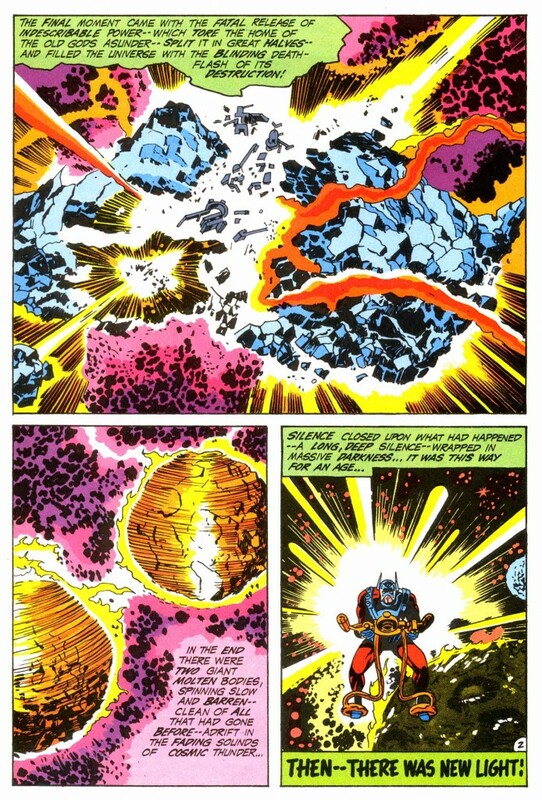 What I really find terrific in these pages are the backgrounds. 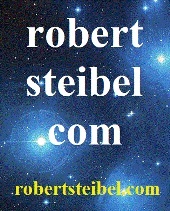 Wonderful details in the architecture, statues, costumes, books, manuscripts, and the paintings on the walls. Pages 15 – 17. 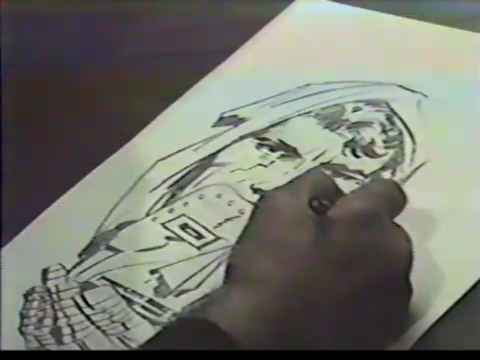 Inks by Mike Royer. Also, looking at the cast of supporting characters in The Demon — we can see an example of Jack trying to promote ethnic diversity. Posted October 23, 2010 in Uncategorized. 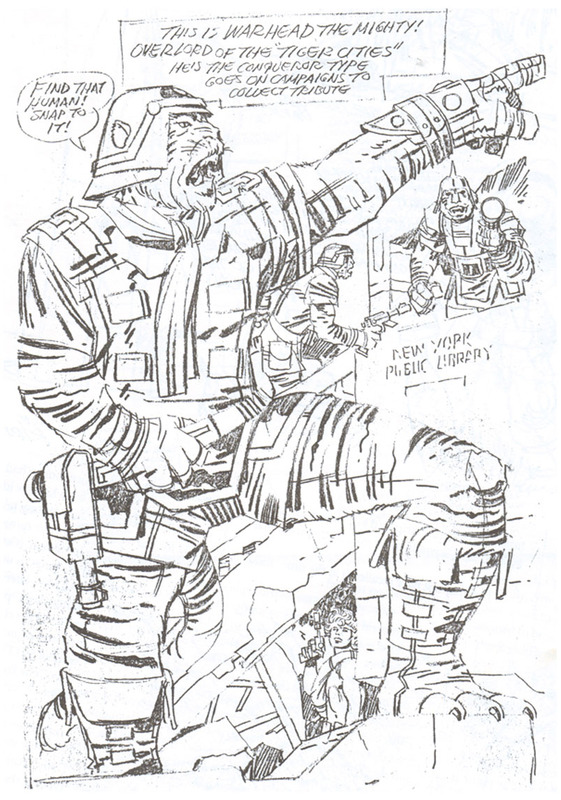 A great example where Jack is credited as the layout artist, but you can still see his unique style in the image. 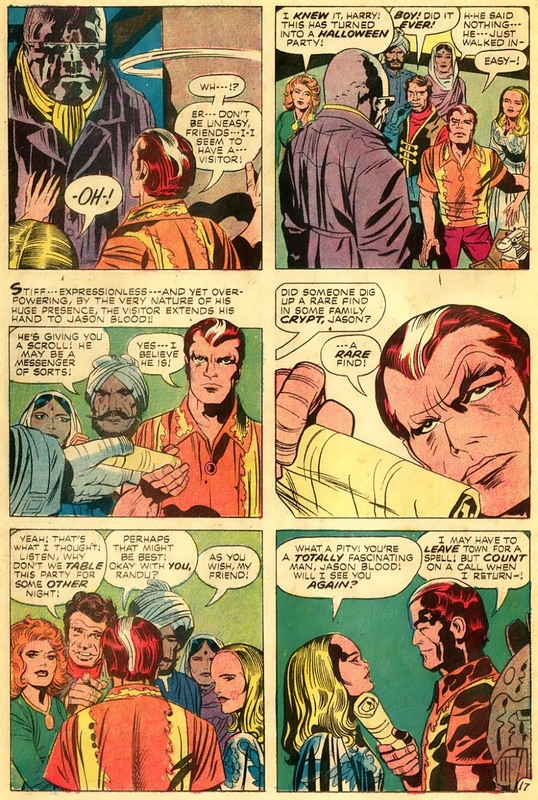 Looking through the rest of the story, Werner Roth (Jay Gavin) injects his own style into the the artwork — understandable because Jack probably provided fairly loose layouts for interior pages — but in certain panels such as this one (page 3, panel 3) you can still clearly see Jack’s dynamics at work in the composition of the image. Posted October 22, 2010 in Uncategorized. 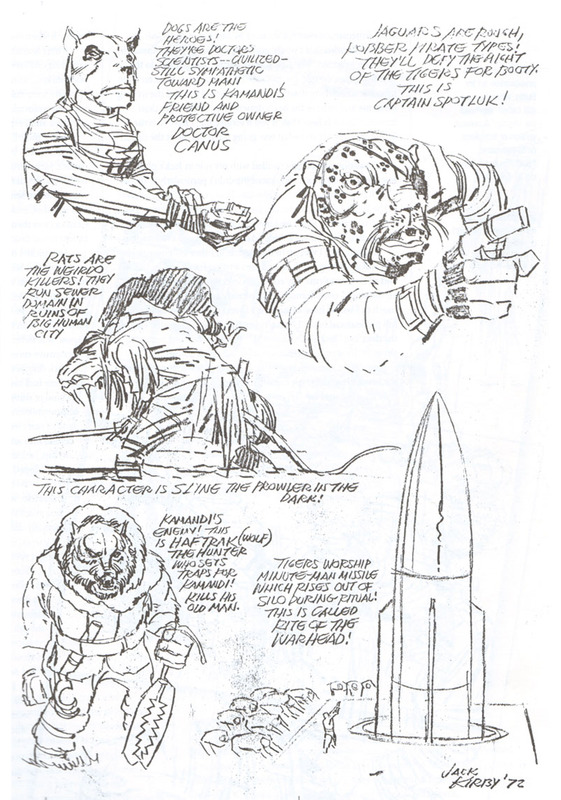 One final post on Kamandi for the time being: here are some penciled Kamandi presentation pieces. 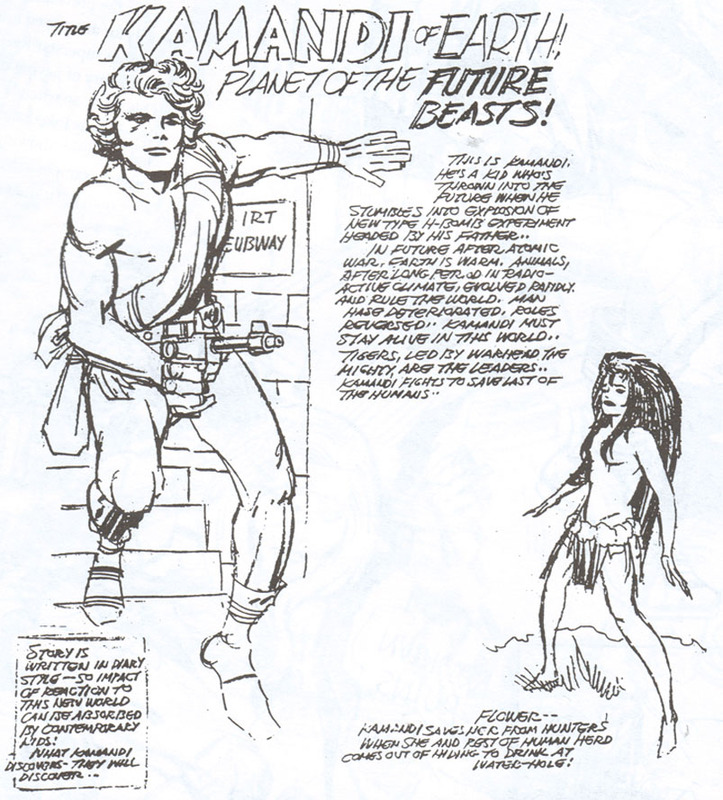 The second page is dated 1972, so I’ll guess this was artwork Jack put together in order to pitch his Kamandi idea to DC, although this looks more like a pitch for an animation project. 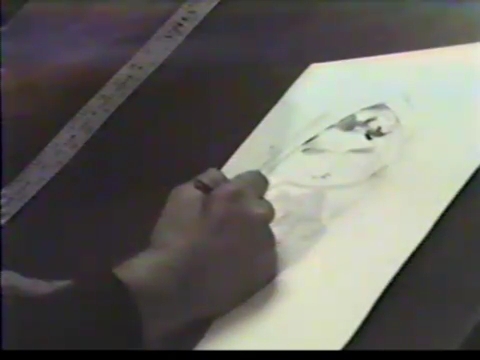 Some great pencil-work by Jack here. I’d love to see Mike Royer add inks to these pages. Great example of how Jack could create an entire back-story fairly quickly, then it was simply a matter of executing the plan on a monthly basis.